Your Small Business... Made Bigger! In fact, one of the motivations to write this blog for you is that during a review of our own marketing programs, we realized that there are some tactics we used to use that fell off our radar and there are some we want to try. 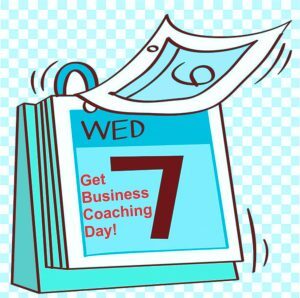 Since we do these reviews for each of our private business coaching clients, it makes sense to treat ourselves as a client, too. We have attempted to put together some a bit off-the-trail marketing ideas that you can use for your business, or perhaps they will inspire you to change them a little bit to match your business and what you are doing. We are, after all, here for you and your business and look forward to hearing of your successes. UNUSUAL MARKETING TACTIC 1. 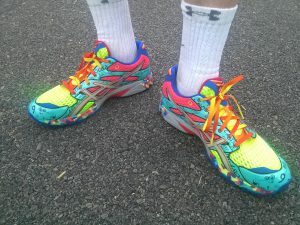 Send a shoe – We send shoes to the target of our desired business with notes that say “We would like to get our foot in your door.” You get bonus points if you match the size to the person. Want to keep this an inexpensive marketing tip? Send us an email at info@YuloffCreative.com with the subject line FOOT IN THE DOOR and we will share some secrets. This includes financial – insurance – anyone medical – alarm companies – heck – pet sitters who watch your animals or painters who cover walls or pest control who protect your home. UNUSUAL MARKETING TACTIC 3. Celebrate National Your Industry Month. UNUSUAL MARKETING TACTIC 4. Tie your marketing in to a local sports team. I think that a college team and it’s amateur status is a stronger pull, but professional teams could work, too. Here is how it works. You offer your list a Free Something if your local sports team wins. If it’s football, that’s between 5 and 15 times a year so you can make the prize big. You can even make it a progressive prize with the main prize drawn at the end of the season. If it’s baseball, that’s a lot more winning, so the prize is smaller OR you make it a harder thing to win: if they SWEEP a 3-game series there is a prize. If they have a triple play or a grand slam there is a discount. If it is hockey… don’t make it hockey; it's too small an audience in most cities (just kidding, hockey fans). Another way to tie into the score is to offer Monday Madness – Pick a product tie the discount or dollar cost to the number of points – 25 points? 25% discount. UNUSUAL MARKETING TACTIC 4B. – Use the sports team tie in, but connect it to your local high school. Do all the above things but perhaps instead of a discount, pool the dollar amounts and turn them into an endowment or contribution to the local school’s sports or education programs. Connect with the school and they will be sure to let you know what their needs are. UNUSUAL MARKETING TACTIC 5. Hold your own trade show. Pick a few of your friends in business and hold a trade show for all your clients. You all display your products and you all invite your entire audiences. You get to share a lot of people and it increases your chances for sales. You can also hold a big trade show for all your clients with all your vendors. We used to do that for our promotional product business. Our Small Business Breakthrough Bootcamps have their origins in our Christmas in July tradeshow. At first it was just promotional products. Then we added education. Over the years, as our business changed, so did the balance of education vs. promotional products. UNUSUAL MARKETING TACTIC 6. – Sponsor a Meet Your Elected Officials evening. How much are you involved in your community, as an individual? Depending on the type of person you are, you might be involved a lot, a little, or not at all. On an individual level, community engagement is one of those things that is a choice. As a business, however, that choice becomes a crucial part of your marketing campaign. Of all these marketing ideas, this one is my favorite because it is so cool. It completely builds upon our mission statement that all entrepreneurs MUST be involved with their community. People love to support local businesses. It’s become the ‘de rigueur’ thing to do. People feel a lot of pride knowing that a successful business runs out of their area. If you can properly engage with your community, that pride will skyrocket. Harness that pride, and turn those people into customers which will lead, of course, to profits. 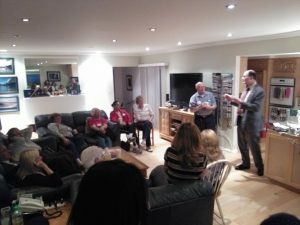 This idea is based on you connecting with local politicians and hosting an evening where they get to connect with constituents in their neighborhood. A ‘State of the Neighborhood’ communication evening. You can ALSO include the local police department captain or fire department liaisons. They will want to do this because when THEY put on this type of event, they get the folks who are paying attention to them. When YOU sponsor this type of PRIVATE event they get to speak to the people who you are inviting – that is a different group of people than those who would regularly show up. IMPORTANT NOTE – stress this – this event is NOT NOT NOT a fund raiser. It is a Meet Your Elected Night. If you want to spike attendance, then you must assure attendees that they are not going to be asked for money. We also strongly suggest that you not make this event open to the press unless the elected encourage it. UNUSUAL MARKETING TACTIC 7. – The Paper Email – We are big believers in direct mail, but this is an unique format. We call them “paper emails”, and you’ll want to incorporate them into your marketing strategy. How often do you check your email? If you’re like me, you check it a lot but don’t necessarily get a chance to read it all. You may be flooded with daily emails and end up only checking a few of the more important looking ones. We read about this, tried it, and saw the trend, so we’re starting to snail mail copies of emails we send to customers. You know what? It worked! Many people who get these “paper emails” are thankful for them, due to the flood of emails they get daily. It’s also fantastic to have a physical copy of pivotal information. So the next time you send out an email promotion, be sure to send out a “paper email” that goes with it! They find the format of the LETTER as a EMAIL interesting and amusing and that is what increases response. UNUSUAL MARKETING TACTIC 8. – Have a new product or service? Get your clients or your prospects in on Beta testing it. Tell them that they are part of the cutting edge of your business and since you appreciate and value their opinion, they are part of the small group helping improve how you help other people just like them. In exchange for a discount, they will be asked to answer a short questionnaire a few times. If you ever give a discount for any reason, turn it into a Beta Test to keep the client solidly loyal. It also helps you improve your product. UNUSUAL MARKETING TACTIC 9. – This is the “I’m Making Things Happen” idea. We want to generate more links to our website and backlinks to client and potential client’s websites. 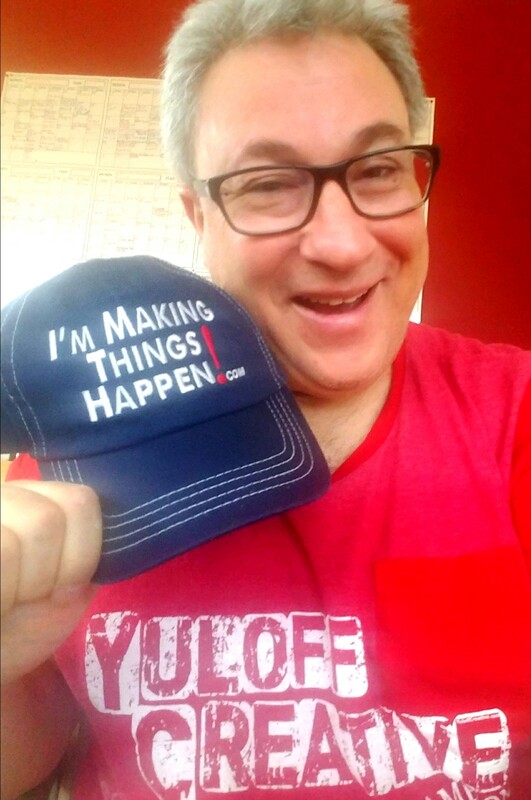 So we give away baseball caps that say “I’m Making Things Happen.com” on them. When clients go to that website, they see a simple process for getting free promotion for them and their company. It includes taking a self-video while wearing our cap, telling everyone what they are doing to make things happen. We embed the link to that video (that they upload to YouTube) on our I’m Making Things Happen.com page and create the links. Since we already USE I’m Making Things Happen, how can YOU use it? Find your own message based on your slogan or mission statement. Your target market will be far more wiling to wear a cap with your slogan instead of your company name. Ours is designed to have people talk to the wearers of the cap. UNUSUAL MARKETING TACTIC 10. – Anyone can pass out a paper coupon but a gift card has a greater perceived value. We all have given out that 8 ½ x 11 sheet of paper with specials on it. If you give out plastic cards shaped like a credit card and with artwork that makes them LOOK like a credit card, you can pass them out and they will carry the higher perceived value. You do not have to create the cards with a magnetic strip that holds the discount information (that is a bit more expensive), you can just add the discount amount into the ad copy on the card. The faux ‘credit card’ is easily slipped into your target market’s wallet and will hold it’s shape while a paper coupon can get crinkled and be easily discarded. It is always great to try new ways to market your business, and we hope that you will try a couple of them for yourself and then report back to us with the results. If you want some assistance in choosing the best unique marketing tactic for you, connect with us at Free Marketing Consultation.com. Take the short assessment and then you will receive a link that adds you right into our calendar. How to Use Donald Trump to Make Money, Without Paying Him! Wow. Thanks for the mention. Last week’s Bootcamp was awesome. Thank you! We look forward to seeing you again soon, Elinor!